We recently asked subscribers of our Facebook page what they would like to see more of. We were delighted to receive so many responses, and one theme that emerged was that readers would like to see subject-specific tips for how to integrate effective strategies into teaching. 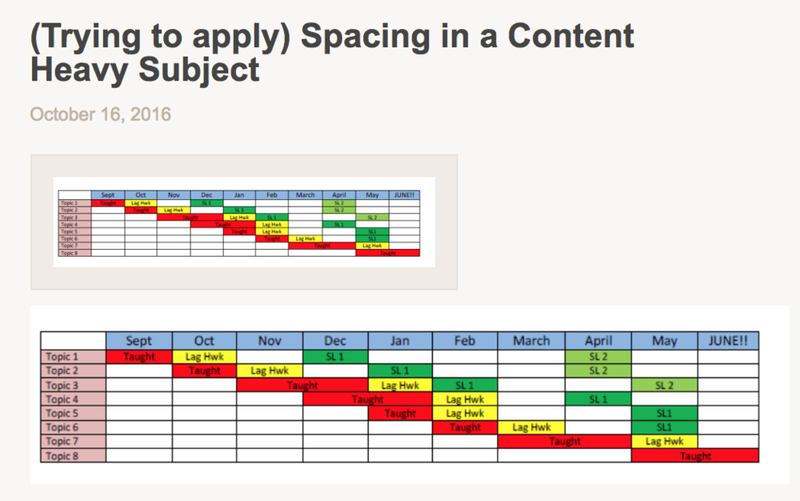 In this digest, we put together 5 blog posts by teachers that focus on implementing spaced practice in one specific subject at a time. For more of an overview of spaced practice, see this guest post by Jonathan Firth (@JW_Firth).